On Sunday November 17th at 7:30am runners the race will leave from Sylvan Beach Park heading out the main entrance onto Bayshore Dr. Next the runners will take a left and head down Bayshore drive. and then take a right on Garfield St, followed by another right onto Park Dr. Continue on Park Dr. all the way back up to Fairmont, then take a right and then left back on to Bayshore as you wind around until you reach San Jacinto. You will proceed down San Jacinto about a mile and take a right onto Broadway. Proceed down Broadway through the Main street intersection until you reach Barbours Cut where you will take a left and head towards the frontage road along Hwy 146. Take a right on the frontage road and head towards the Hartman Bridge . 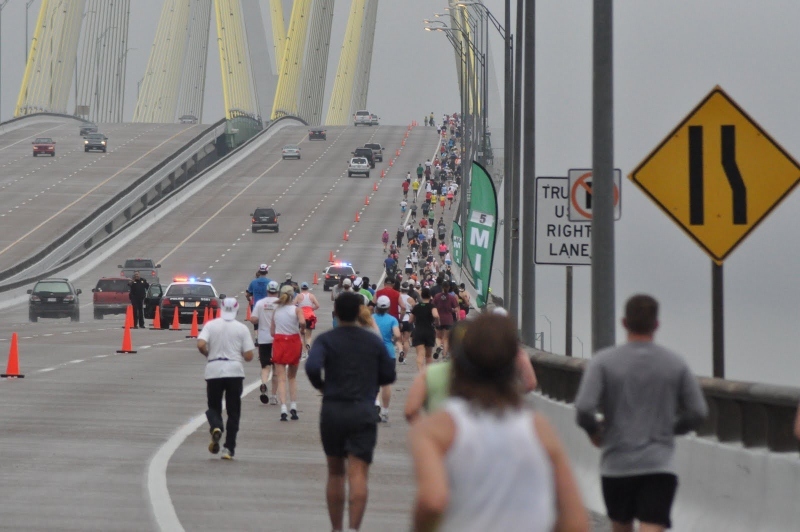 About 4.5 miles into the race a ramp will be built to take the runners over the bridge guard rail, and down at the base of the bridge. The runners will proceed over the bridge and take Hwy 146 business to the Wyoming intersection. Then the runners will take a right into the boat ramp where the runners will loop through the parking lot and come back out and back track on the same route. The finish will be at Five Points Town Plaza which is the intersection of Main, Broadway and San Jacinto, less than one mile from the start at Sylvan Beach. The post race party with food and refreshments will be at the finish line (Five Points Plaza). Transportation back to Sylvan Beach will be provided by City of La Porte, Durrett Motor Company, and The Bridge Over Troubled Water. 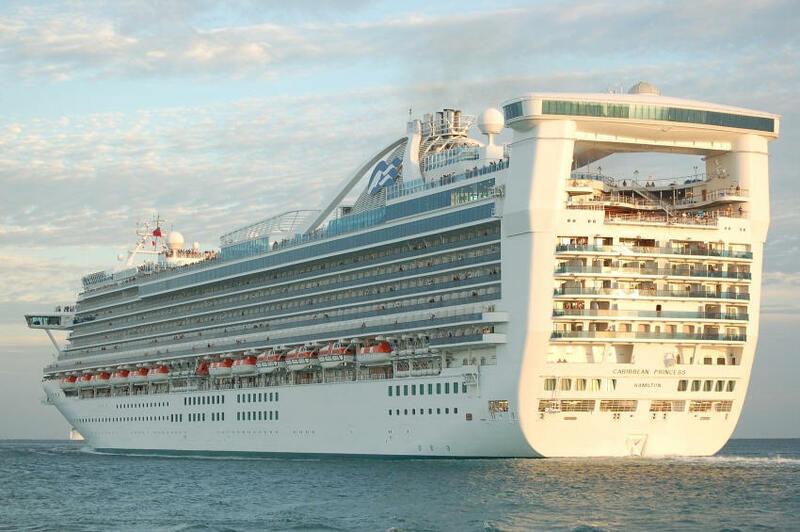 The Carribean Princess from Princess Cruises now calls the Port Of Houston home just long enough to take another ship full of vacationers on their next Western Caribbean Cruise! From Houston to Cozumel, Roatan, Belize, and back you will have an unforgettable time aboard the ship. And stay tuned - the City Of La Porte is working with local business owners to make sure that we have something special in store for all of our cruise goers before they say Bon Voyage. What could it be? All we can tell you now is you'll need to come in Friday night to find out! Christmas On Main Street is under a month away and the City Of La Porte elves are hard at work! The festival will be held on Thursday, December 5th, on Main Street between 5th and Broadway and at 5 Points Town Plaza from 5:00pm – 8:00pm. This annual celebration event is quickly becoming a family tradition and we are excited to have Santa & Mrs. Claus, Clutch “The Rockets Bear”, and a sledding hill all following the parade that will begin at 5:00pm. Admission is free and there will be numerous vendors along Main Street. If you are interested in becoming a vendor simply call 281-470-7275 for more information or visit on the web at www.laportetx.gov and click on “community events". We are excited to see the community come together and kick off the holiday season. We look forward to seeing you and your family there!